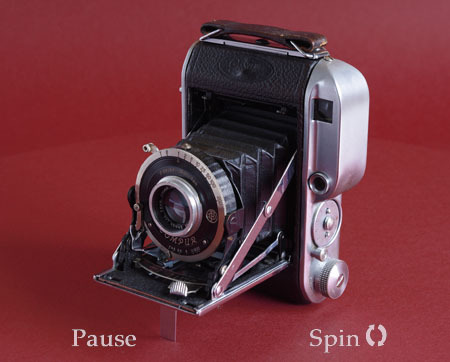 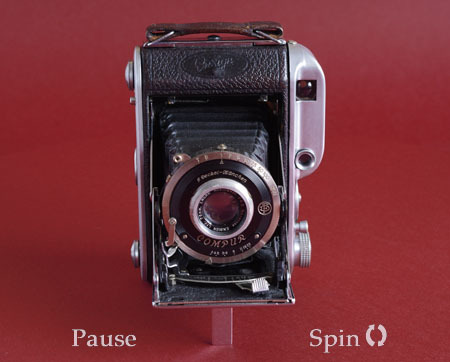 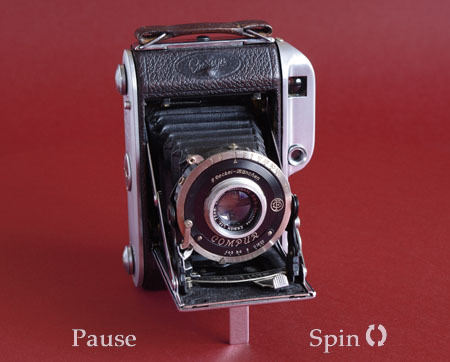 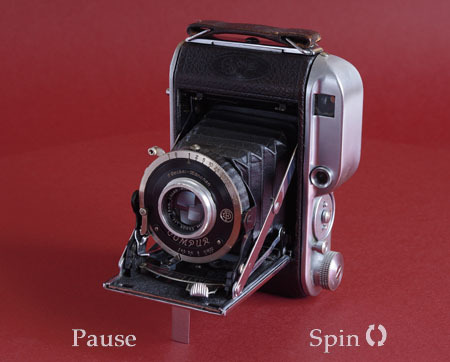 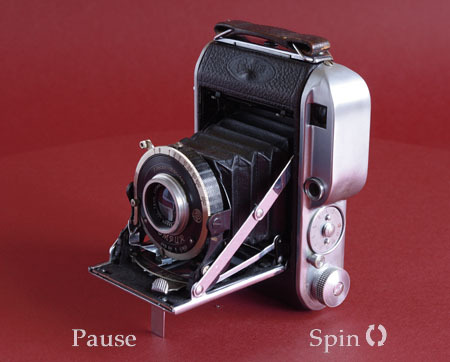 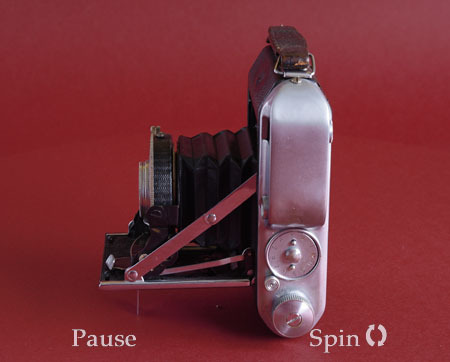 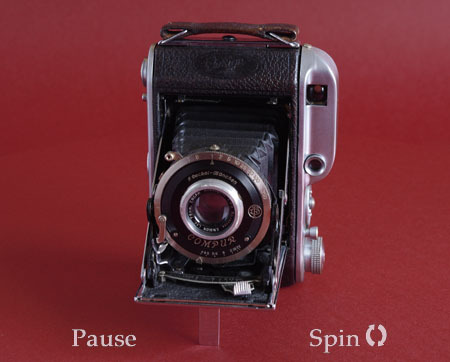 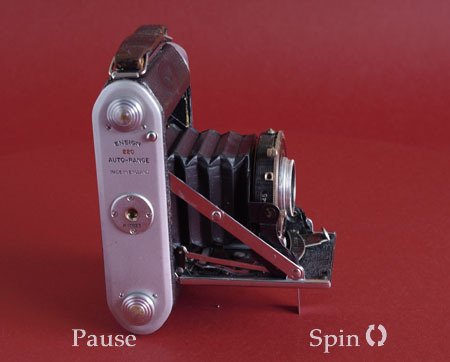 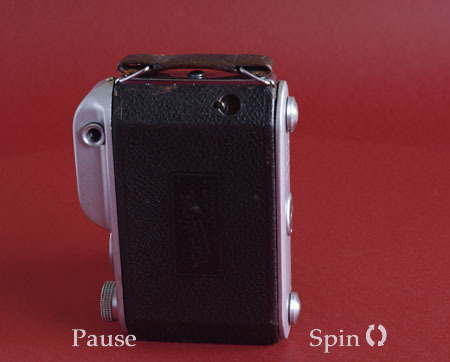 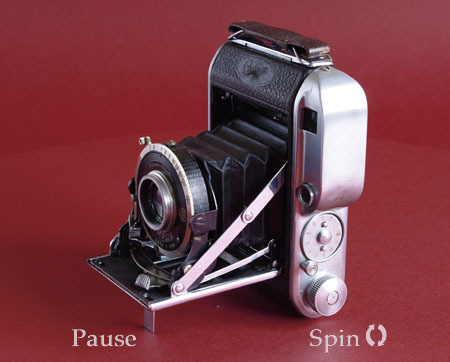 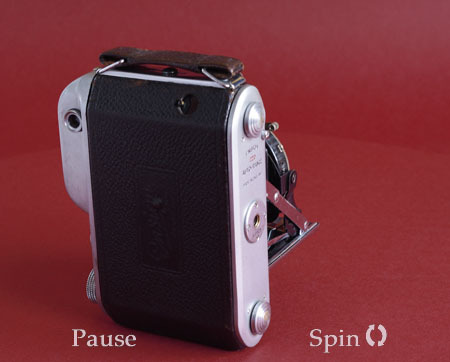 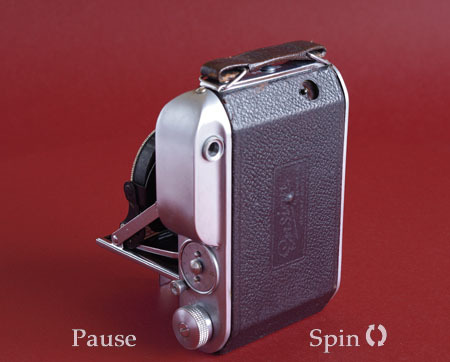 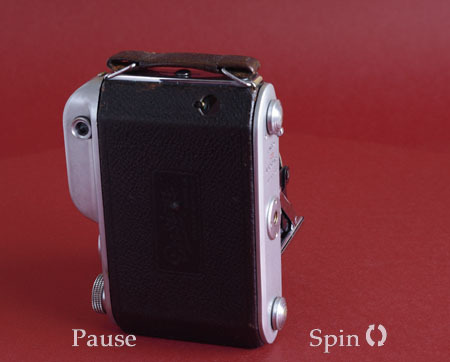 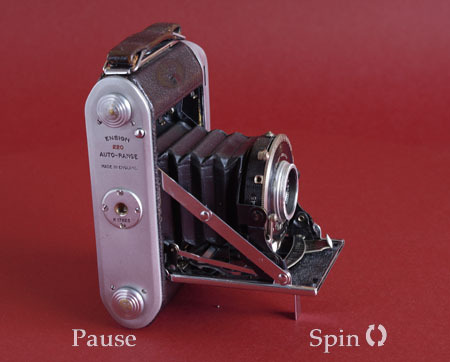 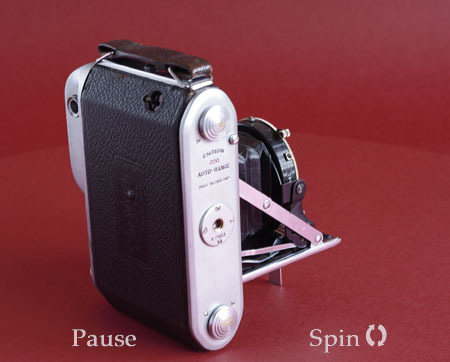 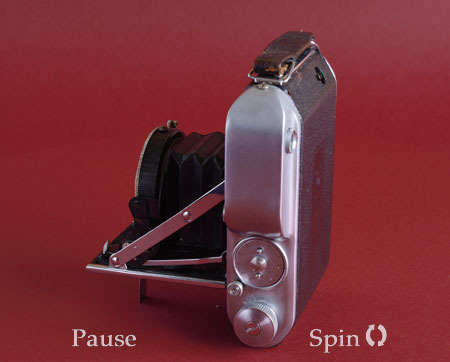 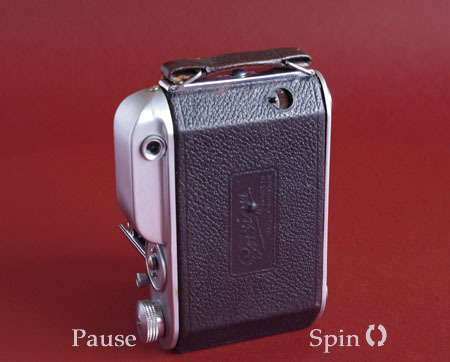 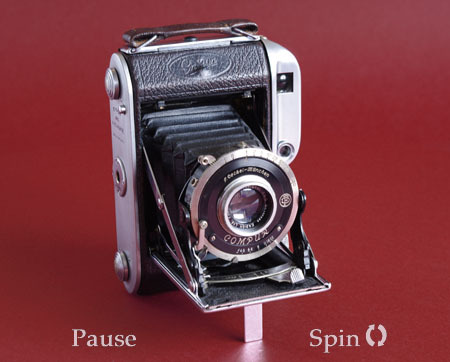 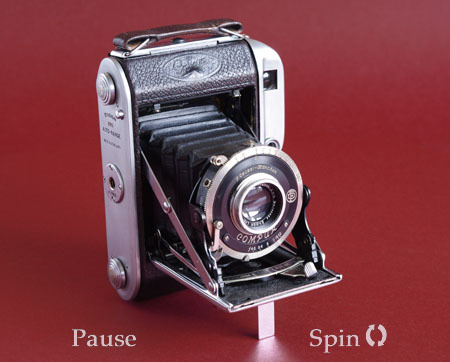 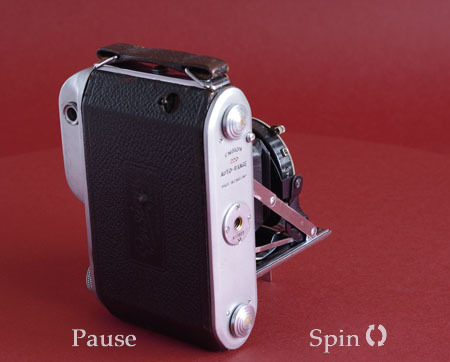 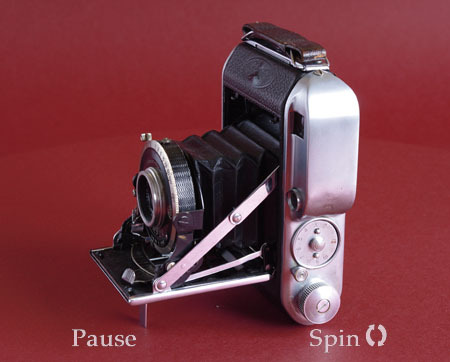 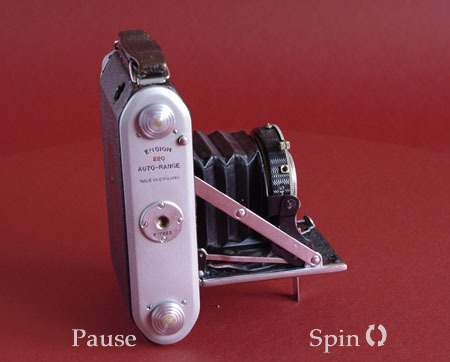 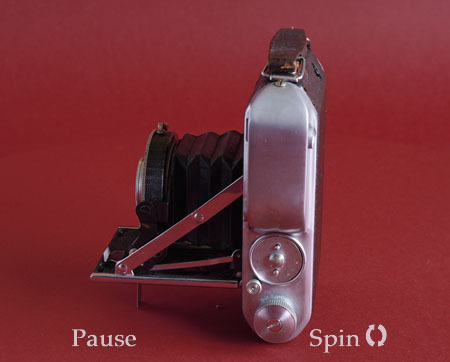 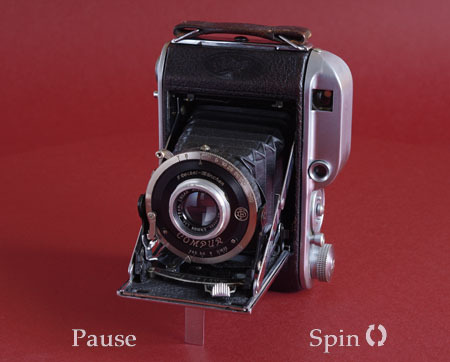 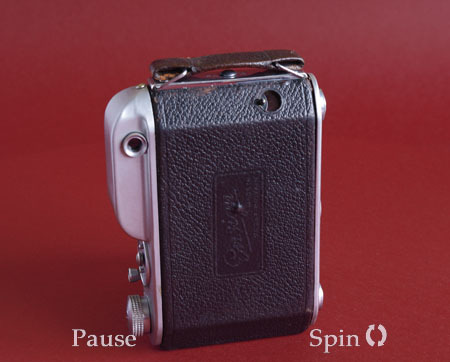 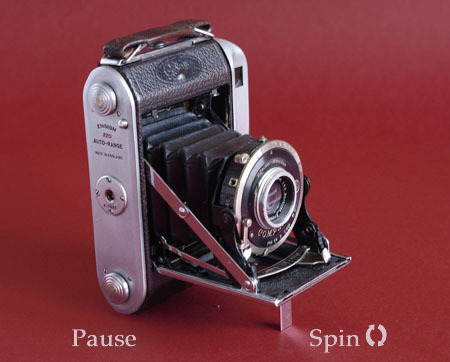 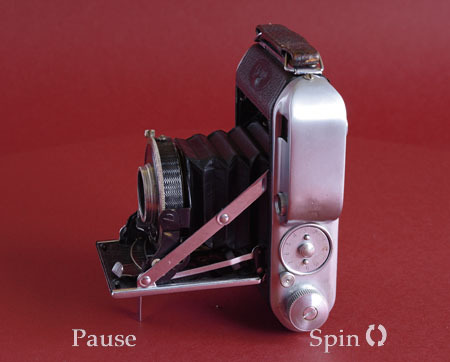 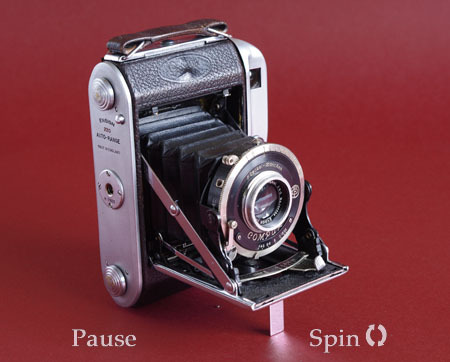 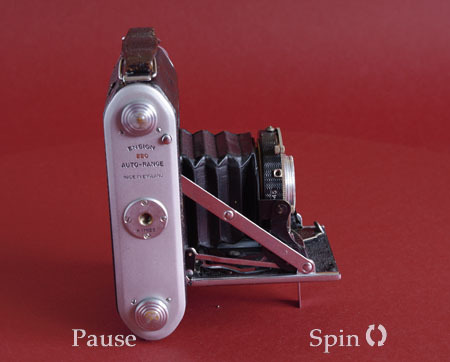 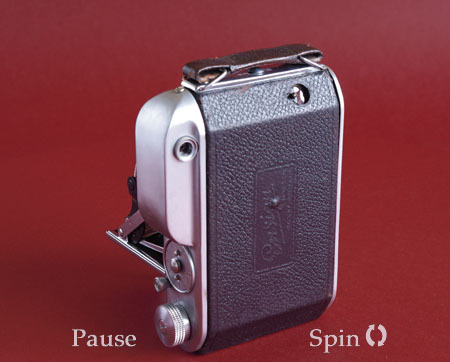 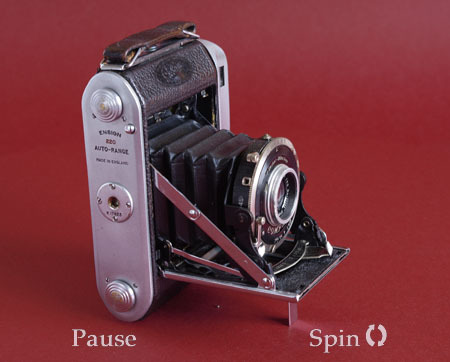 Ensign Auto-Range 220, vintage camera - all round view at 10° intervals. 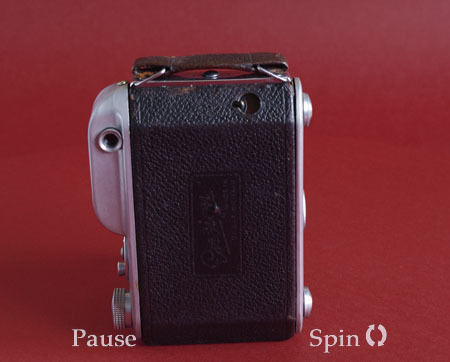 Another of Ensign's handsome cameras. 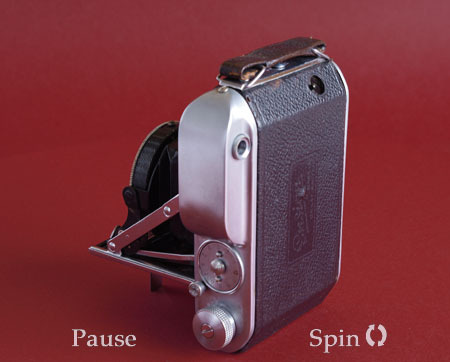 It's a good effort, with coupled rangefinder and focussing via the lever on the front of the lens bed. 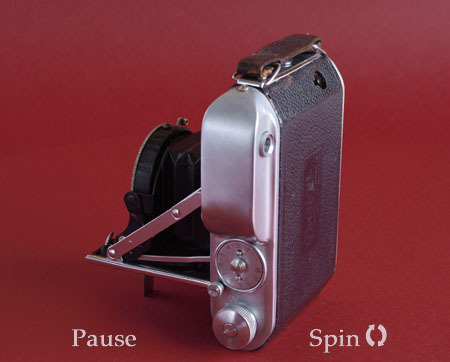 Good looking though it is, it does have some shortcomings. 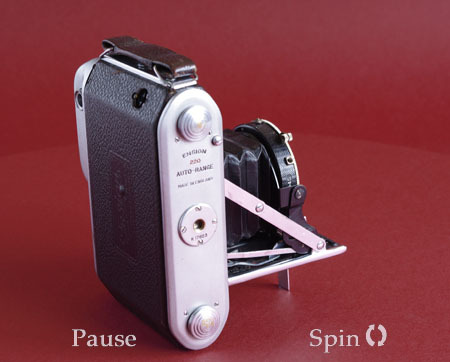 The viewfinder and rangefinder are in combined windows, but the viewfinder is not on the centre axis, but through the square window. 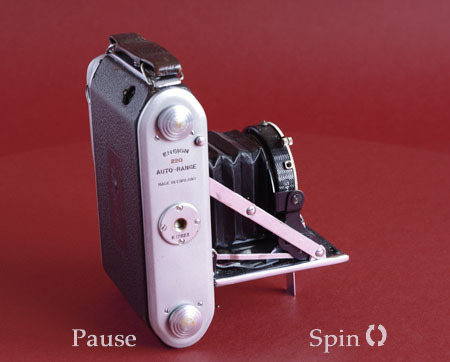 The viewfinder edges are rather poorly defined, the lever focus is slow to use and you have to remember to keep your hand out of frame too.